The new year of 2017 is here and I realized it’s been a long time since I’ve posted anything. How time flies – right? 2016 had it’s ups and downs, but now we’re all starting a new chapter in our lives and I pray we will all use it as a time to learn more about the Lord Jesus; and each other. Life is too short, by far, for us to focus on the trivia and miss the more important things – like family, friends, and our health. May we not take anything for granted; and may we redeem the time for the time is short. 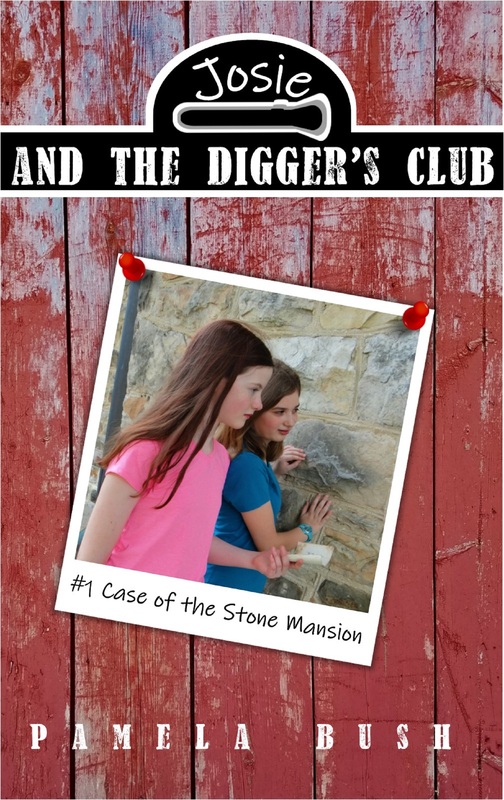 I’m excited to announce the release of my new series entitled – JOSIE AND THE DIGGER’S CLUB: CASE OF THE STONE MANSION. Josie and the Digger’s Club is made up of four kids ranging from 11 to 13. They are adventuresome and looking to “dig” into mysteries. A perfect, entertaining read for your grandkids, cousins, nieces and nephews, and neighbor’s kids. I’m excited to announce that EVERYONE OF YOU can listen to a radio show interview that will be playing ALL DAY on TUESDAY, MAY 24TH, starting at 12:01 a.m. (that’s for any of you up that late, or early; whichever end you’re on!) Since I know that’s still a few days away, I will REMIND all of you again on the 24th. This interview is on the whole WHIRLWIND SERIES, but mainly my newest release – and final book in the series – OUT OF THE WORLD. I love the cover – don’t you? HERE IT IS!!!!! Hope you all like it! I’m excited about it and will let you know when it will be released and available to purchase. Stay Tuned!! Out of the Heart is now available! Be one of the first ones to order and read my newest novel – Out of the Heart – which is the fourth book in the Whirlwind Series. In book three – Out of the Mire – Jason Woeberg kidnapped Abigail Turner, Lt. Quaid Williams girlfriend and ended up being killed during the rescue. Now you can find out what happened to Jason’s only daughter – Rose Woeberg – and why she stole thousands of dollars from her ex-boyfriend, Don Diego a Mexican gang leader. She’s on the run . . . and for some unexplained reason she goes to Petoskey, Michigan. The place where her father died; but also the place she was born and the only roots she knows off. Thanks for sharing this exciting time with me. Soon I will be releasing my fourth novel in the Whirlwind Series; and I’m excited to give all of you the first preview of the cover!! I love it!! But – – what do you think? We’re doing well and enjoyed all the pictures and words directed to fathers this past weekend. Since I don’t have mine any more ( he passed May 1981) I adopted an older man in our church. In Sunday School we made cards so I did one for him and presented it to him. He’s the same age as my Dad would have been; so that puts him t 95. When I explained why I gave him the card, he took it, smiled and said, “That’s nice, but is this all I get?” What a character!! So, I gave him a hug, too.